Bird hit a contested fallaway fourteen seconds into the game, and never looked back. Similarly, don’t expect this to be Bird’s last entry either. This, like his baseline fallaway, is only the beginning for ‘Ole Larry Joe. John “Hondo” Havlicek’s illustrious career cast a great shadow across the Celtics franchise, and has tragically been forgotten by younger fans. However, his incredible contributions to Boston lore won’t be lost on this list. Hondo sensed the Celtics impending doom at the hands of the upstart Sixers, led by Dr. J, but even in the twilight of his career, the Celtics venerable captain elevated his game on both ends. His line of 25/6/6 on 10-19 shooting may seem pedestrian(on this list at least), but his stifling defense limited Erving to 14 points on 7-20 shooting. That, basketball fans, is defense. Game 6 of the 1974 Finals is certainly on the short list of the greatest games in NBA history, ending with Kareem’s iconic baseline Skyhook at the buzzer. Enter game 7: the Bucks return home to Milwaukee with momentum on their side after game 6’s dramatic conclusion. 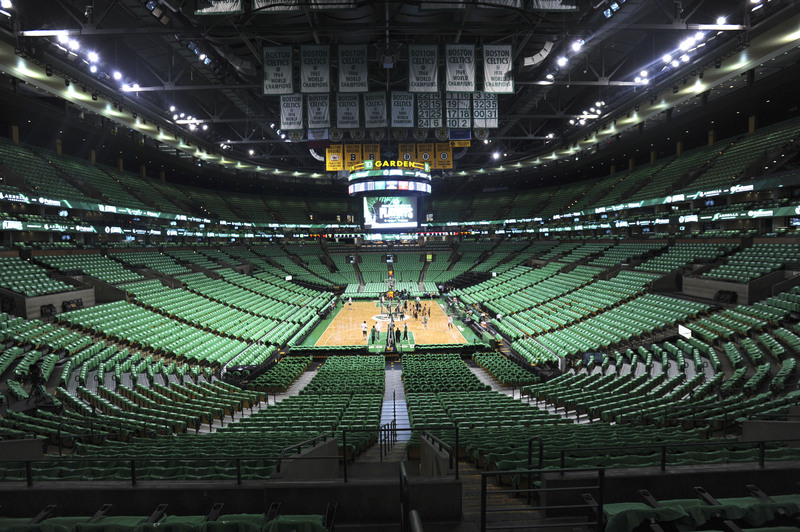 However, Boston had “Celtic Pride”, as late Celtics announcer Johnny Most once said. Schematically, coach Heinsohn made a key adjustment to handle Milwaukee’s giant down low — opting to both front and back Kareem with Boston’s defensive aces, Paul Silas and Dave Cowens. Thankfully for Heinsohn, his strategy was brilliant, forcing Kareem to shoot a mere 47% from the field. On the other end, Cowens pulled down 14 rebounds to go along with his 28 points on 13 of 25 shooting. As opposed to Kareem’s 26 points and 13 rebounds. The result was the Celtics 12th championship celebration, and its first in Russell’s absence. It was 97 degrees in the old Boston Garden, but the Celtics crowd was unfazed. So was Bird, who ironically carried the Celtics to victory behind an unbelievable display of mental and physical fortitude. Because, for that brief moment in Bird’s career, it actually appeared as though no one in the room could physically match Bird’s energy, going 15-20 from the field for 34 points and grabbing 17 rebounds. While the Royals vs. Celtics may have been billed as The Big O vs. Bill Russell, game 7 evolved into a shootout between Oscar Robertson and Sam Jones. Although, once the dust had settled, Oscar finished the game with 43/6/6 on 45.8% shooting from the field, while Sam had 47/7/1 on 66.7% shooting. Advantage: Sam Jones. The Bob McAdoo/Dr. Ramsay Braves ultimately became quite the rival for the Celtics in the mid 70’s, but in game 3 Havlicek proved that even McAdoo in all of his splendor was no match for the Celtics captain. Ending the game with an astonishing line of 43 points on 18-30 shooting, 12 rebounds, and 8 assists. Call me a prisoner of the moment, but Isaiah Thomas’ performance was incredible on numerous levels. Having to undergo six hours of oral surgery to have his missing tooth replaced, and dealing with the reality that game 2 coincided with what would have been his sisters twenty-third birthday. Still, Isaiah rose Boston, and its crowd, back from the dead after falling into 15 point deficit midway through the third quarter. Scoring a combined 29 points in the fourth quarter and overtime period combined, in route to a 53 point outting. The Celtics returned home in game 6 looking to close out their series with Rockets, but fans were treated to more than just another Boston title. Larry “Legend” was at his zenith, ascending from his earthly form into nothing short of a sheer force of nature. Simply put, he was everywhere, wreaking havoc on Hakeem Olajuwon and his upstart Rockets in every conceivable way imaginable. 29 points, 11 rebounds, 12 assists, 3 steals, numerous defelections, a dozen standing ovations, and one jump ball over Hakeem Olajuwon. What more could you ask for from the ‘Legend’? Isaiah Thomas’ 53 point performance was actually the second highest scoring post-season performance in Celtics history. The first belongs to none other than Havlicek himself. Hondo’s performance however was more than just an incredible scoring exhibition, pairing his 54 points with 9 boards and 6 dimes. And, while Isaiah dueled the Almost-Bullets’ brilliant point guard John Wall, Havlicek was pitted against the Hawks “Pistol” Pete Maravich. So while Isaiah’s performance was certainly both more emotional and memorable considering its continuation into overtime, it’s hard to argue the numbers. There is no greater stage in the world of basketball than the game 7 of an NBA Finals, and Bill Russell was Mr. Game 7. Beyond his perfect 10-0 record in game sevens, or the bevy of other phenomenal post-season performances that he put forth, Russell was never more prolific than game 7 of the 1962 NBA Finals against the Los Angeles Lakers. Russell played every minute, even into the overtime period, and pulled down 40 rebounds to go along with 30 points. Crushing the Lakers hopes in overtime, and securing his fifth title in only six years.